Vessels who sign to our full navigation management package will be assigned an account manager who will demonstrate to you why we have achieved ISO9001 certification in this area. Whether you sign as a personal client, as a vessel or as a management company asking us to look after your Fleet, our team are skilled in all aspects of navigation to help save you time and money. With space on board usually at a premium, we can store your unwanted chart folios in our fully insured premises then bring your charts back up-to-date prior to returning them to you as you swap operational area. Assigned an account manager to constantly monitor the status of your outfit as well as provide weekly updates to services and support. 24/7 support in the provision of orders, electronic licenses and general enquiries. Availability of an account manager to visit the vessel and audit the outfit, offer guidance in its maintainence and update any software where necessary. Automatically adding to new orders for publications and charts in your area of operation. Alerts to new edition charts and publications. On-line access to your own account for placing orders and reviewing previous invoices. Access to a wider range of services and stores once logged into your account including firefighting equipment. Reduced courier fees for the dispatch of stores to the vessel. Access to paper chart corrections (via the Vasco App). Free storage of ‘sleeping’ chart folios at our insured premises. The option to hire our ‘loan’ folio for cover between Germany and Gibraltar thus saving new builds having to purchase these rarely required charts and publications. 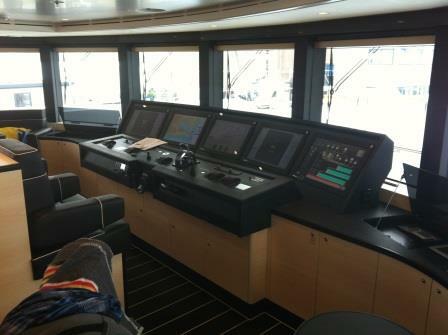 Fleet managers provided with access to all their vessel accounts for review and monitoring. Available to individuals or vessels for the one-off purchase of stores or other products from our public catalogue. Providing you with access to our on-line catalogue of stores for the supply of ADMIRALTY products, both paper and electronic. Free shipping within the UK (for orders over £100). Support from our team in determining the best products for your needs in respect to navigation safety. A free trial of the ADMIRALTY Digital Products and e-NP's. Find out more about our dedicated services through the links at the top and to the right.